AMES — The Cyclones broke the huddle with 6:07 left on the clock on Saturday against Texas and Nick Weiler-Babb pulled Marial Shayok to the side. Shayok had short-armed a wide-open layup opportunity off a lob from Talen Horton-Tucker a little more than a minute earlier. The transfer from Virginia had struggled the entire game, shooting just 2-of-11 from the field to that point. Weiler-Babb, the team’s point guard and often quiet leader, put his arm around Shayok as the two walked to the other end of the floor. “Keep shooting. The next one will fall,” Weiler-Babb told the Big 12’s leading scorer. Neither of the next two shots fell, but the last one, the one from the top of the key with 23 seconds on the clock and the Cyclones leading by three points did go through. It gave No. 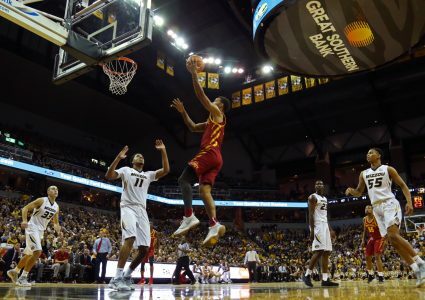 20 Iowa State a five-point lead and was the dagger in a 65-60 knockdown, drag-out victory over the Longhorns. Shayok, who finished with 12 points on 3-of-14 shooting from the field and 6-of-6 from the free throw line, knocking down that shot exhibits the growth Iowa State has made this season. They were in a similar position three weeks ago at Hilton Coliseum with Kansas State on the ropes late. Iowa State was not able to seal that game. They did close out this one despite shooting just 42.6 percent from the field and 38.1 percent from behind the 3-point line. When the Cyclones needed a big shot, they were able to find it, most notably from their two senior leaders. 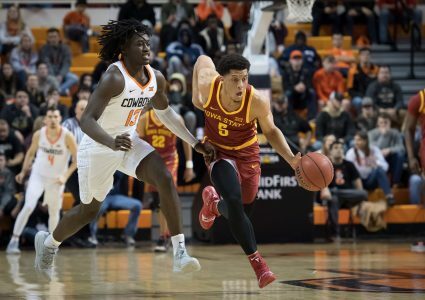 But, do not forget about the four-point play Lindell Wigginton converted to put Iowa State back up four immediately after Weiler-Babb had drilled a 3-pointer of his own to tie the score at 51 following Texas taking its first lead of the game. Do not forget the shot Horton-Tucker hit to extend Iowa State’s lead to eight with 2:48 left while the Longhorns were answering every Cyclone body-blow with a haymaker. 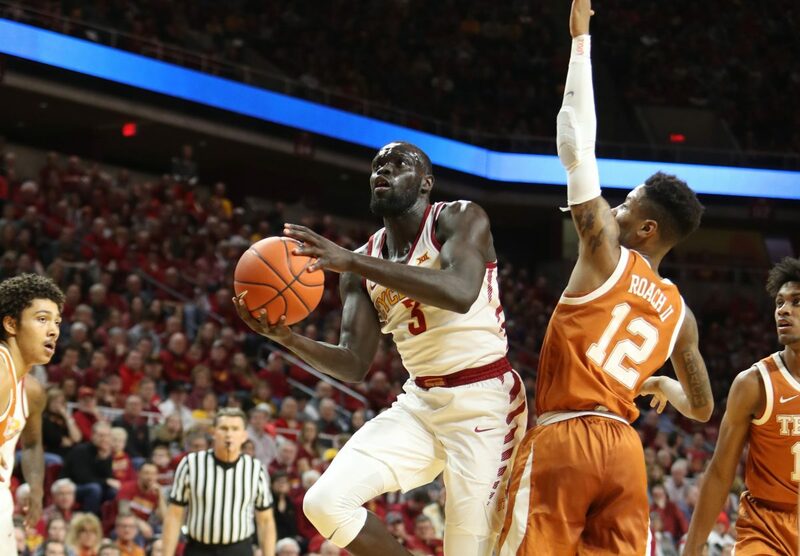 A quick 4-0 run from Texas made it feel like déjà vu all over again with the Cyclones up one and the clock nearing one minute. Then, Weiler-Babb did what seniors do and banked in a mid-range jumper from the left wing setting up Shayok’s dagger one possession later. 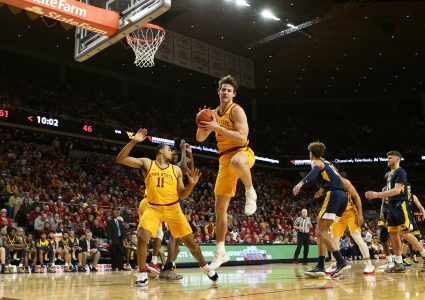 This Iowa State team has grown immensely in the last month and this growth is what gives confidence it could be the team to end Kansas’ 14-year reign atop the Big 12. They have a myriad of scoring options, they defend at a high-level and they have the leadership needed to succeed at college basketball’s highest points. Weiler-Babb has turned himself into one of the league’s best point guards after being a role player two years ago. Shayok has a case for Big 12 Player of the Year at the mid-way point. Wigginton, Horton-Tucker, Tyrese Haliburton, Michael Jacobson and Cameron Lard are all threats to score in double-figures on any given night. Now, they have shown they can win in more ways than one. The Cyclones had already proven they are capable of winning foot races. On Saturday against the Longhorns, they proved they can win a fight.